With the exception of journalist and one particular woman named Rebiya Kadeer, most foreigners these days are welcomed to Xinjiang with open arms. We bring language, expertise and best of all – money. There is, however, a list of foreigners – both past and present – who will forever be scorned in the Xinjiang history books and erased from memory at the Urumqi museum. Fair or not, these men and women have been branded by words and stories that leave Chinese people in the province shaking their head in disgust. This is the Xinjiang Most-Wanted Foreigners List. His father was a religious [person] who chanted sutras for patients. Soon after Yakub was born, his parents divorced. His mother remarried a butcher. Butcher’s adopted son was still a butcher. The only difference was that he slaughtered people. The feelings toward his place in history still remain: in 1978 during a renovation of the land where Yaqub is buried, his tomb was razed. If you’ve ever visited the Gaochang ruins or the Beziklik caves in Turpan, you’ve seen von Le Coq’s work. Likewise you’ve also seen the signs in the caves that tell of how the foreigner “thieves came in and stole” the precious paintings. 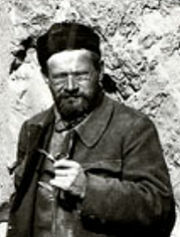 Albert von Le Coq was one of many foreign archeologist to explore Xinjiang and take back countless paintings and artifacts to Berlin where many were bombed to pieces during World War II. Regardless of your opinion about whether archeologist in the early 20th century stole paintings or rescued them, one thing is certain – the Chinese hate the legacy he left in Xinjiang. Right up there with von LeCoq, Stein is also despised for what he took out of both Xinjiang and Gansu. 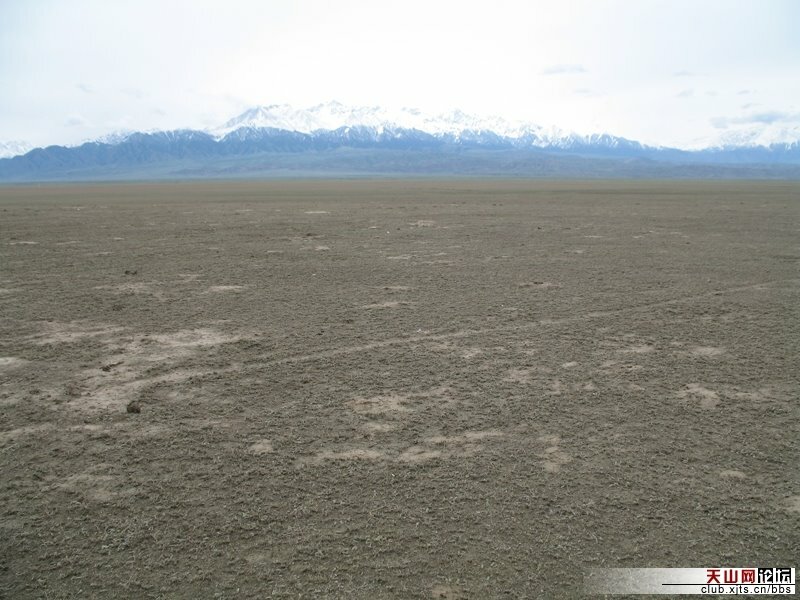 His work can be seen all around the Taklamakan and he was credited with finding and excavating many lost desert cities during his expeditions. Perhaps his most famous footnote in history, however, was when he was able to gain access to a padlocked cave near Dunhuang (Gansu) that housed the Diamond Sutra – the world’s oldest printed text. The amazing story is best told, I believe, by Peter Hopkirk in the book Foreign Devils on the Silk Road, but suffice to say the Chinese believe a young monk who didn’t have a clue what he was protecting was hoodwinked by an educated foreigner. Stein was somehow able to exit Xinjiang with crates upon crates of Central Asian treasure, much of which is still stored and sometimes displayed in the British Museum to the ire of Chinese officials. The exiled minority pictured on the right holds the distinction of being the only woman on this list as well as the only living person on Xinjiang’s Most Wanted list. Technically she’s not a foreigner since she was born in Xinjiang, but considering her current residence in the US it’s safe to call her a stranger in her own land. Her story is quite interesting, working her way from being a poor business woman doing laundry to eventually becoming the richest woman in China and a part of the Xinjiang government. Her criticism of the government, however, eventually earned her a spot in a Chinese prison. 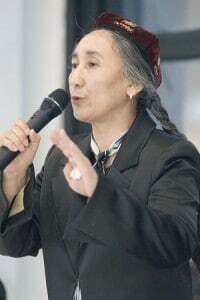 Upon release she left for the US where she still actively works on behalf of the Uyghur, but since the Urumqi riots in 2009 and the accusations that she was the mastermind behind it all, her reputation among Han Chinese in Xinjiang has become that of a wanted criminal. The hatred felt for Yaqub Beg is interesting. 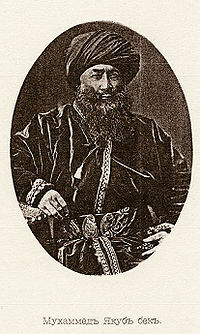 He took much of Xinjiang from the Qing Dynasty, after they themselves annexed the region in the 18th century. I guess Han disdain is measurable by ethnic roots. Agreed. Although much of what I read indicates Yaqub wasn’t the most benevolent ruler, the Chinese reason for disdain has very little to do with his leadership style and more to do with his independent ideas. It’s also pretty interesting to note how much the local Turkis disliked Yaqub Beg as well. He generally seems to be a pretty opportunistic and unliked guy. Though at least this much is true, he makes for great story-telling when remembering that part of the region’s history. Really the problem with “hating” or “liking” Yaqub Beg has ultimately to do with modern categories and conceptions of national identity to the Yaqub Beg’s era, during which these ideas really didn’t exist as they did today. As is usually the case with modern Chinese histiography Yaqub Beg is perceived and depicted as a foreign intruder of and attacker against the “Chinese state,” for all intents and purposes a proto-splittest and a forerunner and inspiration for all those shady criminals who want to detach Xinjiang today. Of course, that’s BS. As much as historians today try to contrive some sort of continuity between the Chinese nation today all the way back to the Han and beyond the fact of the matter is the revenge campaigns by Manchu Emperors pursuing the Dzunghars into the Tarim and Dzunghar basins using primarily Mongolian troops – this intriguing and fascinating moment in history has almost nothing to do with the PRC as a “nation state” today, and that’s ignoring the fact that the modern ideas of “nationalities” and “territorial sovreignty” didn’t really exist among the people involved that day. This of course goes both ways – any Uyghurs who would uphold Yaqub Beg as some sort of inspiration or hero for the Uyghur cause would be entirely silly, too. There’s no need to belabor the point on Yaqub Beg being Khokandi and Persian. But I think the real point to make is that as far as my experience goes, Uyghurs don’t really idolize Yaqub Beg either. They seem to have a pretty clear idea who the crummy folks were. Case in point, Afaq Khoja, who has a giant mausoleum in Kashgar which makes local Han people think Afaq Khoja is some sort of important figure for the Uyghurs (that is, the Han people who haven’t been lead to believe that the tomb is entirely about the beautiful, exotic, and totally invade-able beauty Xiangfei). But they don’t. Most Uyghurs dislike Afaq Khoja. For heroes admired by Uyghurs, see Mahmud Kashgari, or Yusup Khas Khajib. There are some modern Uyghur heroes, too, but how would I dare those who shall not be named, eh? I’m sure it would be easy to read something into that, but to make that connection would require a giant leap. Very few similarities exist between the two save the fact that both are not looked upon favorably by the Chinese. Mhm, mhm. More inscrutable Analects style wisdom from our resident mountain sage. Follow my lead fellas, just nod your head a few times and rub your chin (or beard, if equipped) with your thumb and index finger, as if you’ve just been lead to an unforeseeable breakthrough of historical understanding thanks to the gentle guidance of Cao Zi. Emitting a guttural “Hao. Hao.” as you beardstroke is quite effective. Once his ostentation quota for the day is filled he’ll go away and we won’t have to limit the discussion to platitudes, sound bites, and praise of Master Cao’s illuminating wisdom. Ironic that you would use the word ironic. If your collected works of “awesome” writings are anything to go by someone like you using the word “ironic” is…er… quite ironic.